Tomato Ketchup is a perfect accompaniment for the Indian snacks as well as for the snacks which have their origin outside India. Samosa, Tikki, Chat, Pizza, Marconi, Pakodas, Chips or Burgers, tomato ketchup completes the cuisine and there be hardly any home which doesn’t have tomato ketchup available in the pantry. The market is huge for tomato ketchup and this led to many brands being set up in the Indian market. Some of these brands are domestically grown brands and some of them are the foreign brands. 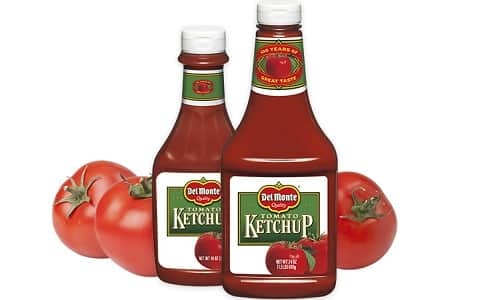 All these brands manufacture tomato ketchup is different versions but the most popular and the most common remains to be the original tomato ketchup without any added flavors. 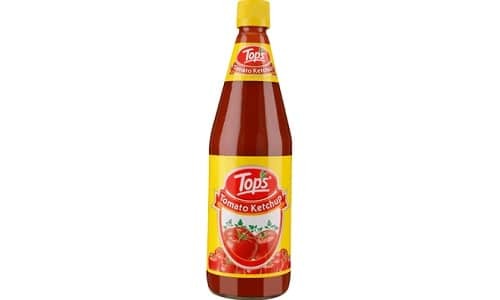 In addition to this each and every household has its own favorite tomato ketchup and they would stick to the same brand for almost whole of their lifetime. 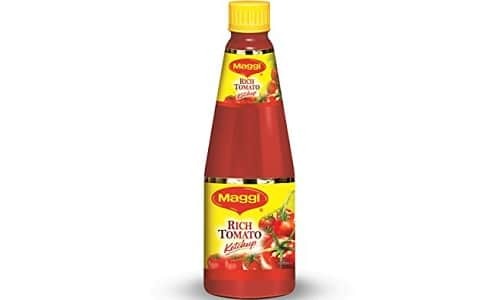 Do you know which are the most popular brands of tomato ketchup in Indian Market? 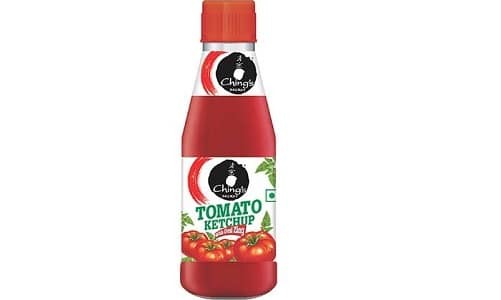 Well, here is the list of the top 10 best tomato ketchup brands in the Indian market. You might not have heard the name of SIL Ketchup but the brand is not at all new in the market. Sil was incepted in 1952 but in 1991 the brand was taken over by Bombay Oil Industries. 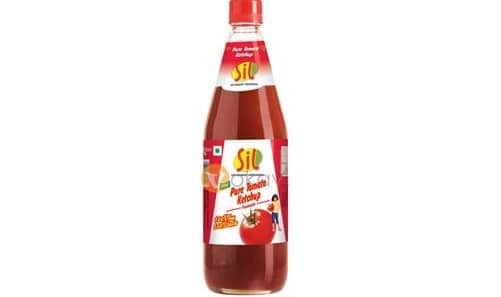 At present, it is one of the bestselling ketchup in India. Sil doesn’t only manufactures ketchup and the brand also manufactures different products like baked beans and soups. The tomato sauce from Sil is available in four different flavors and all of them are equally good. 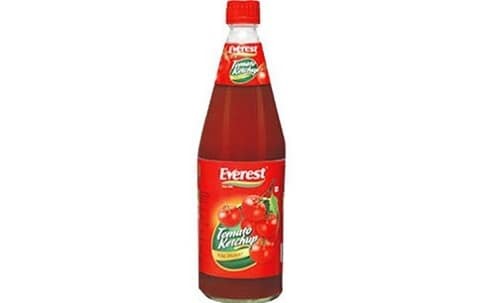 Next on our list is Everest Ketchup and this company was established in 1986 in Uttar Pradesh. Everest India manufactures many products apart from ketchup and they are committed to providing high quality food to the public. In addition to this, the tomato ketchup is available in different sizes. The brand is easily available across the retail chains in the country and as per the information available, Everest also manufactures ketchup for other brands on a contract basis. Apart from tomato ketchup, the brand also manufactures culinary sauces, pickles, jams,and vinegar. 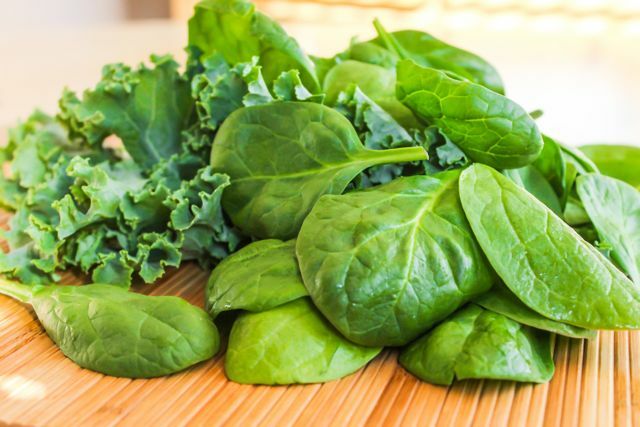 Smith and Jones is a brand under Capital Foods Private Limited India and the brand has a wide range of product under its portfolio. 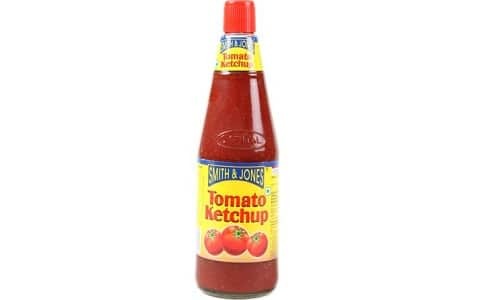 The ketchup from Smith and Jones is manufactured in many different variants and it is just a perfect side dip for all the Indian snacks. The brand also manufactures a ‘No Onion – No Garlic’ variant of the sauce so as to target the customers who follow Jainism. The company does a lot of research before bringing down any product in the market. Ching’s markets its products with a tagline ‘Desi Chinese’ and it is certainly true to its tagline. The products manufactured by the company have flavors added so as to suit the Indian taste buds and the tomato ketchup from this brand are no different. Apart from the tomato ketchup, the company also manufactures chili sauce and vinegar in different variants. Chinese food in Indian house is always incomplete without the products from Chings. Even the instant noodles of the brand are quite good and you must try the schezwen sauce that chings manufacture. On number 6, we have Tops ketchup and this is quite a popular brand in Indian market. Tops started its business in India in 1984 and it slowly climbed the ladder of success. The brand kept of extending its product line with time and at present, the brand not only manufactures tomato ketchup but the brand also manufactures homemade cake mix, custard powder, jelly, vinegar, jam, and many other products. Tops are very particular about the quality of the product and the quality is monitored very closely at each and every step of the manufacturing process. This is probably one of the oldest brands on our list as the brand was incepted over 130 years ago in 1886. Later in 1907, the Del Monte built it’s first-ever cannery and during that era, it was also the largest cannery in the world. With time Del Monte introduced new products in the market and the products were widely accepted by the consumers because of the quality assurance from the brand. Even today, the company is one of the largest tomato ketchup manufacturers in the world. 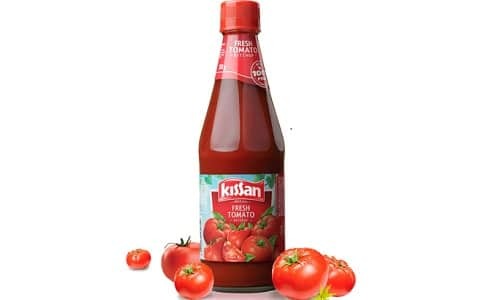 Next on our list is Kissan Ketchup and if you like a tomato ketchup that is really sweet in taste then this is the brand to opt for. The texture of the ketchup is really good and it is not very watery like some of the other brands available in the market. The company uses fresh tomatoes to manufacture this ketchup and it is a perfect side dish for all the snacks and main course dishes. Next on our list is a brand from Nestle and your guess is right if you guessed Maggi. The brand was first available in the early 1980s and since then the brand has always posted impressive sales figure. The tomato ketchup from the brand is available in many different packages and the best part about this ketchup is the texture. In addition to this, Maggi Tomato Ketchup has a very low amount of sugar in it. On number 2, we have Heinz ketchup and it is one of the thickest tomato ketchup available in the market. The ketchup has a very low amount of stabilizers and the ketchup feels really fresh. The ketchup from Heinz is a little sweet and it is a perfect balance in terms of the pH level. If you are a diet conscious person then you would love this ketchup as it has the lowest calorific value in terms of the macros. 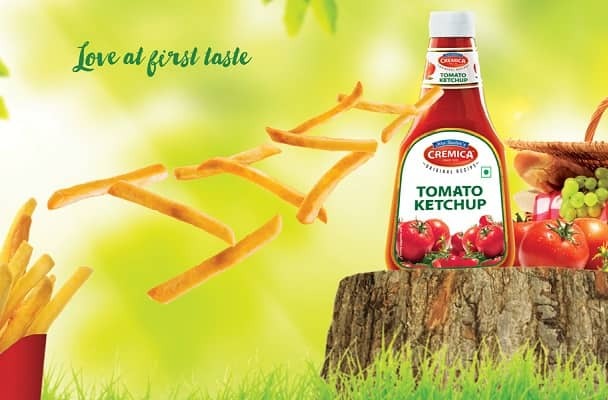 The best ketchup available in Indian market is the Cremica Tomato Ketchup. The reason why it is so popular is the fact that the ketchup has a slightly tangy taste which is loved by most of the Indians. The sauce is really rich in flavors and it has a hint of garlic as well. The company ensures the quality of each and every product manufactured under its roof and this one is certainly the best ketchup you can get in Indian market. 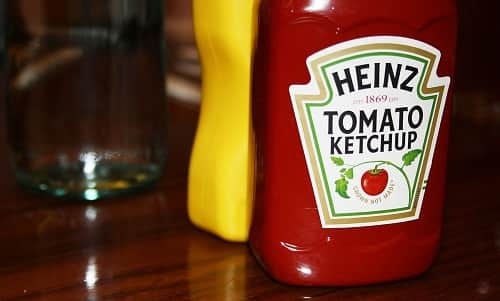 These were the top 10 best tomato ketchup brands in India and do let us know in comment section if your favorite brand is a part of this list or not. Also, let us know that what makes it your favorite brand. Whether you like the flavor of that specific brand or do you like the texture of the ketchup of the brand you choose.